The legroom in the front is 40.1”; 38.5” in the middle, and 31.9” in the rear which is enough to put extra small and some small (depending on the type) pet carriers on the floor in all 3 rows. The Tri-Zone Automatic Climate Control paired with a sufficient number of air vents regulates the temperature throughout the entire vehicle. Also, the panoramic roof, which is standard only on the Elite model, provides additional ventilation and gives passengers a chance to enjoy the scenic views and outside air. Roof rails with crossbars can also be purchased as an accessory, which is helpful when hauling luggage and equipment on long journeys. The family size SUV has 3 rows and enough room to seat up to 7 passengers. When all 3 rows of seating are in place, the cargo capacity behind the 3rd row is 18.5 cubic feet. When the 3rd row seats are folded down, the cargo capacity increases to 55.9 cubic feet. When the 2nd row seats are also folded down, the cargo capacity increases to 109.0 cubic feet. This seating layout comfortably allows a family of 4 and their medium sized dog to travel together and still have space for storing luggage. The entry level models for the Pilot come equipped with a cloth and vinyl combination for seat coverings which is not necessarily easy to clean or resistant to claw scratches. However, a good preliminary Scotch Guard treatment could potentially prevent a lot of problems. The more luxury models come equipped with leather seat coverings which may be easier to clean but more expensive to repair when damaged. The suspension and handling has improved over previous models and a full safety suite is available as an option. Also the Intelligent Traction Management system helps during on-road situations where there is excessive moisture, sand, snow, gravel, or uneven surfaces. The SUV is equipped with a 3.5L V6 engine; 280 HP; 262 lb-ft of torque which is sufficient for towing trailers. Vehicles with 2WD have a towing capacity of 3,500 lbs (1590 kg) which increases to a 5,000 lbs (2272 kg) capacity for AWD vehicles. And considering the size, the SUV has a respectable fuel performance and obtains 22 mpg for city and highway driving combined. 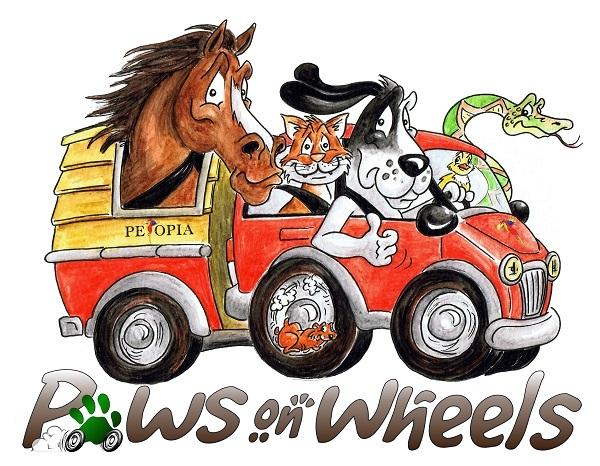 The perfect paws on wheels rating is 25 out of 25. Overall the 2017 Honda Pilot received a score of 22/25 which results in a 5 Paw-Friendly rating. 1. The Pilot’s design has more than enough space to comfortably seat a family of 4, plus pets, and still have room for bags and water bowls. Therefore the full score of 5 Paws was achieved in the Design and Pet Accessibility features category. 2. With 3 rows of seating to play with at 60/40 splits, the cargo capacity is fully functional for a family traveling long distances with pets and luggage. Therefore the full score of 5 Paws was achieved in the Design and Pet Accessibility features category. 3. The cloth and vinyl combination that comes standard on entry level models is not the best for cleaning and resisting scratches. And while the leather gives a more pristine look and feel, repairing damaged material can be relatively expensive. This is why we deducted 1 Paw from the Hair/ Stain Removal, & Scratch Resistance category. 4. The handling and safety features on the Pilot are sound, but nothing over the top or out of the ordinary. This is why we deducted 1 Paw from the Handling & Safety Features category. 5. Lastly, the engine capacity is built for towing between 3,500 and 5,000 lbs depending on whether the car is 2WD or 4WD drive respectively. This means that the family horse can also come along for the journey. 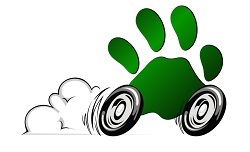 Therefore the full score of 5 Paws was achieved in the Performance & Towing Capabilities category.